The Registrar is a whole time officer and is the custodian of the common seal and the academic records of the University. He maintains a register of registered graduates and conducts elections of members to the various authorities in the prescribed manner. 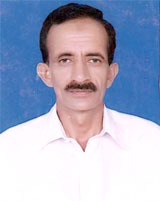 He is the secretary to the Syndicate, the Academic Council and the Selection Board. He also performs such other duties as may be prescribed.